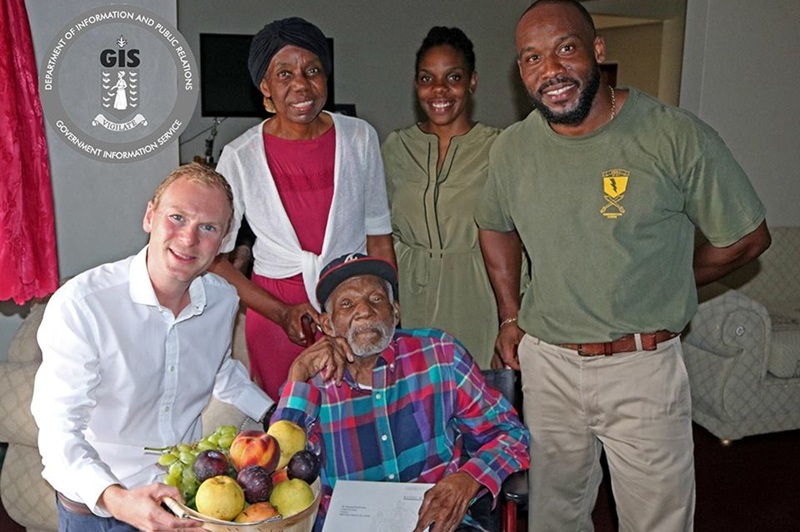 Governor Augustus Jaspert recently took a break from coordinating hurricane recovery and relief efforts to pay a courtesy call on the territory’s newest centenarian, Richard Benjamin Brathwaite. He presented Brathwaite with a card from Queen Elizabeth II, adding that The Queen takes a keen interest in all centenarians and celebrates the milestone with them. The governor also wished the new centenarian a warm and happy birthday. Brathwaite celebrated his 100th birthday on September 22, 2017. He was gifted with a basket of fruit and a bag of assorted supplies.